If you are on a limited budget while in Kraków and would like to see the salt mine in Wieliczka, do not just get any tour that someone is trying to sell to you. You will see scores of tour agents and students handing out fliers for VIP tours as well as tours offered in your hotel. However, the purpose of this post is to tell you how to go to Wieliczka like a Cracovian or an insider. Ifor those on more a a budget and like to use your brain when traveling, try my method of going to Wieliczka. Most VIP tours will cost about 25 dollars just for the transport. However, this does not including the cost of entrance tickets or anything else. Be smart and take the very same ride on a public bus instead, it will cost you less than 3 dollars round trip and it is a bit of an adventure. What you need to do is take the 304 express bus to Wieliczka. It’s quite easy to find them as they are bright yellow (It is actually run by a joint American Polish company but part of the Kraków public mass transit system, it is powered by clean natural gas). While almost all other Kraków buses are blue. I see many old foreigners and all kinds of people who are not rocket scientists, do not speak any English or Polish, taking this bus to the salt mines, so you can figure it out too. Do not be afraid to try something different. It stops in Krakow center twice: at Bagatela theater and then Filharmonia. The 304 also stops at Bonarka shopping mall on the way (or way back) which in square feet is the largest shopping mall in Europe. So it is a win-win as you can do some shopping on the way back. I personally think Bagatela (a small theater, you can notice it, because above it is a large screen advertisement) is easier to reach from the Main Square. 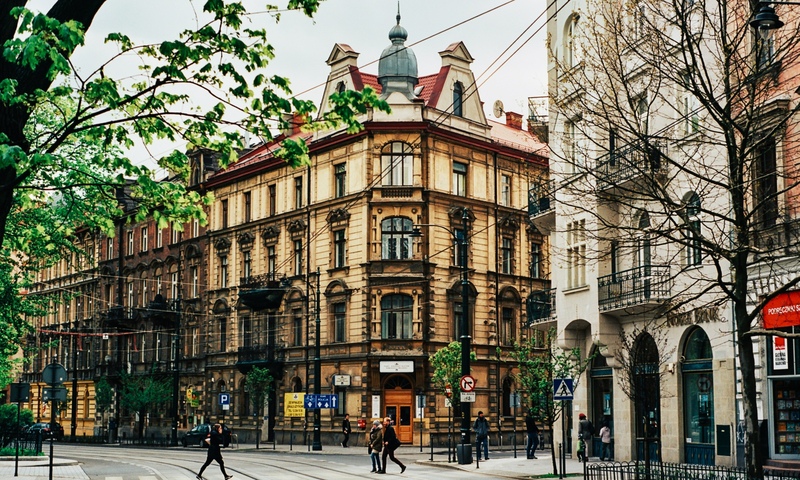 All you need to do is walk along Szewska Street (pronounced like Chef-ska, it is easy to find as it as McDonald’s on it) until you find it crossing with Dunajewskiego Street. The busy Karmelicka Street is kind of an extension of it. Once you get to the zebra crossing on your right, you will see your bus stop. Across the street you should see a cosmetic store called Rossmann (good to know if you need anything). If you have Rossmann behind your back and the Planty park is across the street from you, you are at the right one. The bus actually has a decent schedule for a bus that goes out of town, it usually comes every 15-20 minutes. So just stand and wait or ask people. Most young people speak some level of intermediate English. Which ticket to buy? It is easy, do not worry. It is good for your brain to figure this out. Buy not just, regular bus tickets for this one as it goes outside the city border (obviously, you are trying to get to Wieliczka not just a Krakow local stop). You could buy a local ticket, and ‘play dumb’ (like I did not know) and they would not fine you because you are a foreigner. But technically could get a 60 pln if you have bad luck and get caught by a bus ticket checker, and have not the right ticket, but I have personally never been checked outside the city center in all the years I have ridden public transport in Krakow. So do not worry. What you need an agglomeration ticket (bilet normalny aglomeracyjny). It costs 3.20 zł. (that is like 1 dollar). You can buy a ticket on the bus with the driver or in he automatic machines on the bus. They take change, not bills. You can also buy it right there at the stop, there is a ticket machine and a kiosk not very far from it. The bus has a machine that you can use if you did not manage to get your ticket earlier, but those are less complex and will only take change, a lot of time the exact amount and if you insert a 5 złoty coin in, it will most likely spit it back out. So my advice is take care of the tickets before you get on the bus. You can also buy it as a kiosk from a human not a machine. Once you are on the right bus it is down the hill. You get off the bus at the stop that says Kopalnia Soli. It is right by the Salt Mine and I believe there is a sign that is easy to notice. A single ticket to a guided tour around the mine with a foreign speaker costs 68 złoty. If you are an individual visitor or in a group of 5 or less, you do not need to book it. Once at the salt mine they have English guides and English everything you like. Its like the Disney of Krakow and very easy to get around and figure things out. It reality is is not far from Krakow so you do not have to worry about anything. There are vans and other ways to get back. I like actually buy some of the salt and take a bath in it. It has many micro-nutrients that are good for mood and aliments and detoxification. You could bring it back to your hotel and take a bath. If you take this challenge it is a safe way to try an off the beaten path adventure travel for less. If you have any questions just ask. Enjoy your trip to Wieliczka for less. Thank you, your description of the bus stop is spot on and it really helped. I also had lunch at CK Browar across the street from the stop and can recommend that for a books cheap lunch, and they make their own beer. Two updates, the bus ticket is now 3.40 and the admission is 73. Also just for clarification if you choose English on the ticket machine the proper ticket is described as ‘I + II suburban” or similar. 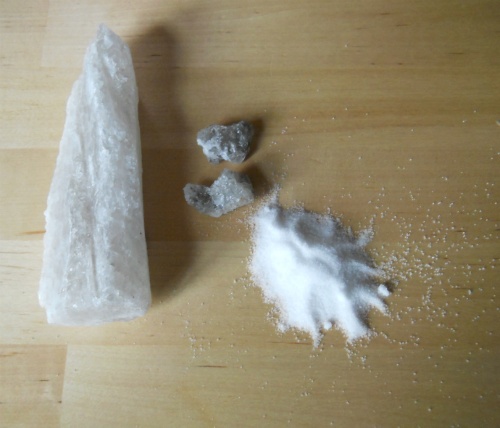 Will be visiting Krakow in September 2015 and thanks for your excellent and simple blog for touring the “Salt Mines” on a budget. This is just the help I was looking for, when I get to Krakow come August– how to get there on my own reconnaissance and without the package tourist costs. Looking forward to visiting these mines. The way to go to Poland and Krakow on your own is simple as booking a flight and going. Once there it is no different than being in any US city. You can use ATMs and take bus tours and stay in American hotels or youth hostels. I wondered how long the bus takes to Salt Mines (weird that I cannot find this information online), and how long would you need there approximately? It takes about 30 minutes. You take take a local bus for a fraction of the price rather than the tourists buses and it is more fun. They are the yellow gas powered buses. Thank you for the info. They are very useful to me. I am planning to go there from Krakow. Your information is superb and I look forward to following it. I imagine you figured this out, sorry for the delayed reply Phillip have a lot on my plate. How was the trip? Hi Mark, thanks for your response. Yes I did manage to sort everything out for our impending visit in August. We are booking the Salt Mines and a visit to Auschwitz plus hoping to see a lot more of the beautiful city. Assuming you are busy professionally may it continue.